The Pumps Bumps and Rollers trail is located in the 18 Road Area of the North Fruita Desert north of Fruita, Colorado. 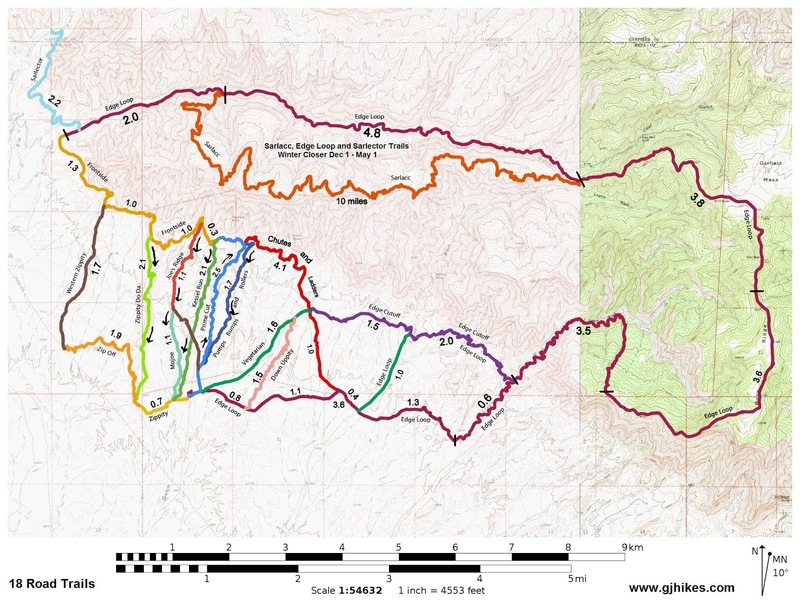 The trail is designated as a downhill only route that was designed with numerous bumps and rolling segments that dash through junipers and in and out of small washes. It can be ridden aggressively for those that are seeking the maximum amount of separation between earth and bike or more moderately for an easy downhill roll. 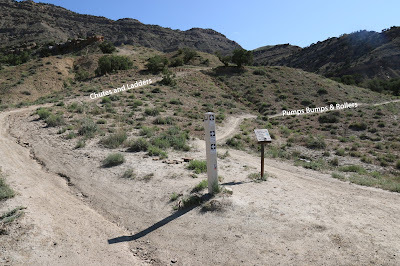 The trail begins at the top of the Prime Cut trail where it intersects with the Chutes and Ladders trail. 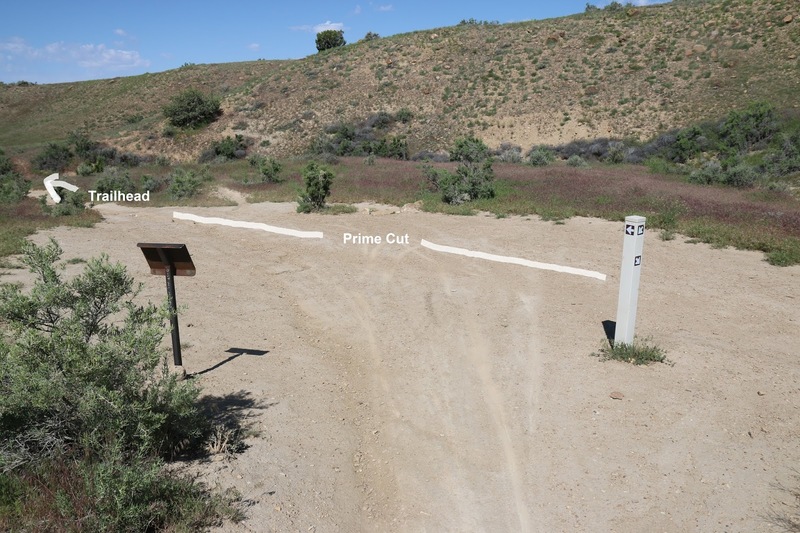 A sign at the start of the trail reminds riders that this is a downhill only trail. As the trail starts out it heads east toward the drainage that it will descend. From there the romp begins as the trail turns to the southwest and begins heading downhill. Depending on how fast you are moving you can either roll over the bumps and remain in contact with the ground or go the other way and see how much air you can catch. Besides the man made bumps the trail was designed to take advantage of the natural terrain to add a few more whoopty doos into the mix. This is one of those roller coaster like spots. When there are no bumps and rollers you can pump away until you find some more. Somewhere past the halfway point the trail leaves the juniper trees behind and begins traveling out in the open. There aren't a lot of rocks to slow you down and the spots where there are a few poking through the dirt are easy to manage. After a quick run the trail comes to an end where it reconnects with the Prime Cut trail. From here you can ride back up the Prime Cut and give one of the other trails a go. Kessel Run is another downhill only trail that is a lot of fun. If you don't want to ride up the Prime Cut again you can head down it a short distance and pick up Joe's Cutoff that comes out on the road below the campground. There are a multitude of possibilities from there. 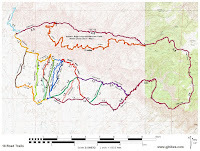 It is a good idea to print out a map to take along just because there are so many trails and intersections. If you don't want to print the map you can just email it to your smartphone and look at it anytime you want. As far as the Pumps Bumps and Rollers trail if you would like to see it for yourself then all you have to do is grab your bike or 'Take a hike'.